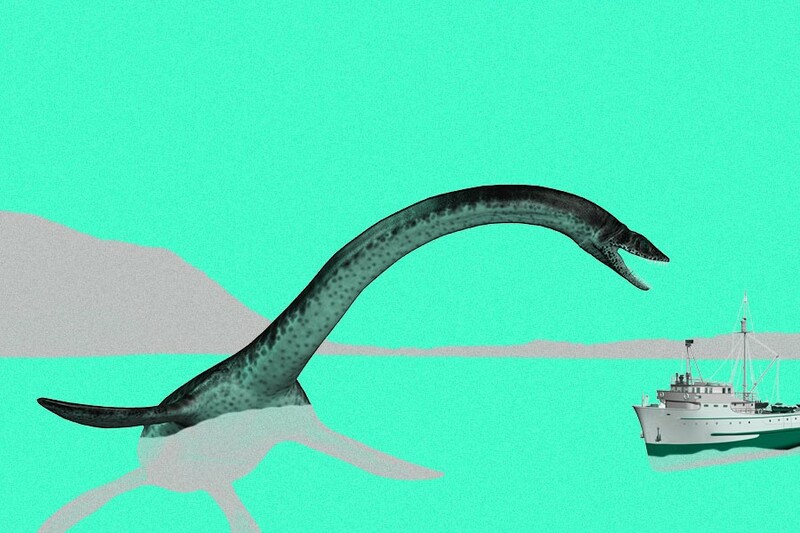 Late last month, the media exploded with stories about an international research team using state-of-the-art DNA testing to establish, once and for all, whether the legendary Loch Ness monster actually exists. And while the researchers admitted to being doubtful that their investigation will find any evidence to support the existence of the mythical beast, we can expect that firm believers will continue their hunt until Loch Ness runs dry — at least, if history truly does repeat itself. This certainly isn’t the first time that scientists have attempted to prove (and proceeded to disprove) the existence of the Loch Ness monster: Beginning in the 1960s, a decade-long search performed by the Loch Ness Phenomena Investigation Bureau produced zero evidence of the legendary beast. Meanwhile, in 2003, the BBC funded a massive search, using a whopping 600 sonar beams and satellite tracking to sweep the Loch Ness for traces of Nessie. Then, in 2016, we were presented with a glimmer of hope: Sonar-imaging revealed a massive shape resting at the bottom of Loch Ness that, by all accounts, resembled Nessie. Unfortunately, the object ended up being an abandoned prop from the 1970 film The Private Life of Sherlock Holmes. And yet, after all of these unsuccessful searches, the believers still believe: To this day, thousands claim to have seen Nessie, and the nearby village of Drumnadrochit is home to two permanent Loch Ness monster exhibitions. “For me, it all started because I visited Loch Ness for the first time when I was seven, and I just found it amazing that grown men were here looking for monsters. As I grew up, I became much more fascinated with the mystery. When you start to read all the witness accounts, it begins to mount up to an awful lot of people seeing much the same thing: The back of what appears to be a very large animal. “Britain is a relatively small island, and we know pretty much everything there is to know about every inch of it, apart from this 23-mile-long body of water that seems to contain large, unknown creatures. That fact alone makes it an amazing place — the possibility of being able to find a massive, unidentified animal in a Scottish loch is quite an attractive challenge. That’s why Loch Ness is on millions of people’s bucket lists from all around the world — they come to briefly have a go at trying to spot Nessie. It’s not like hunting for Yeti. You don’t have to trek off to the remote corners of the world. It’s here; contained in a relatively small, but very deep Scottish loch. Which all makes a lot of sense. Now please excuse me while I rent some scuba gear.